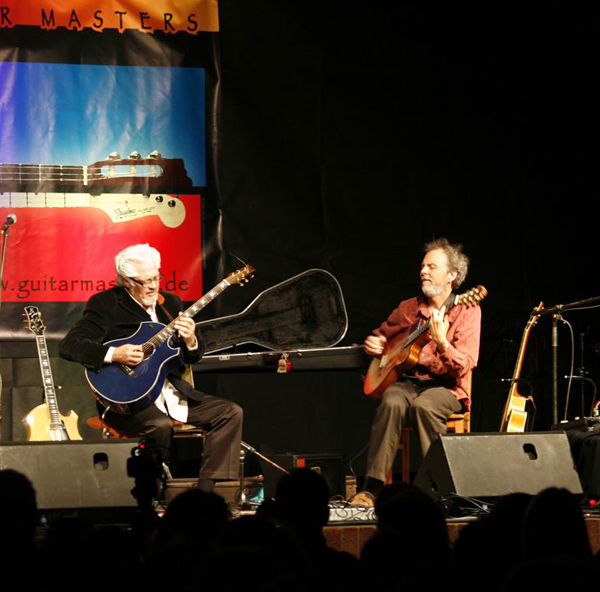 I’m heading out on Thursday for a show in Germany at the Reichenberg Guitar Masters Festival. I’ll play a solo set and then guitar legend Larry Coryell and I will play together. Racking up some serious miles for some jazz! That's Larry on the left and me on the right. This is from the concert last year. I dig the way Larry plays! This photo caught us at the Reichenberg Guitar Shop paying a visit before the concert. 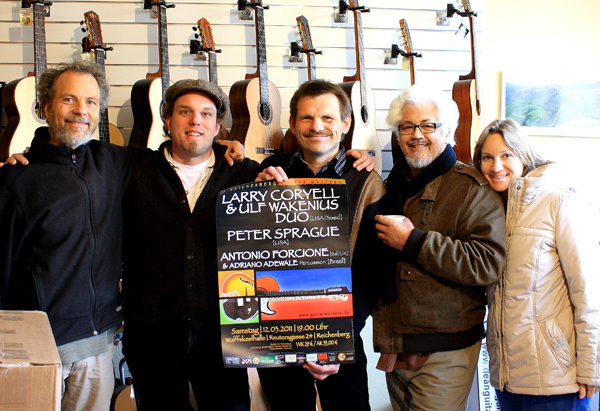 From left to right, Peter, nice guitar shop owner, Reinhold (he's the concert promoter), Larry Coryell, and Larry's wife Tracey. 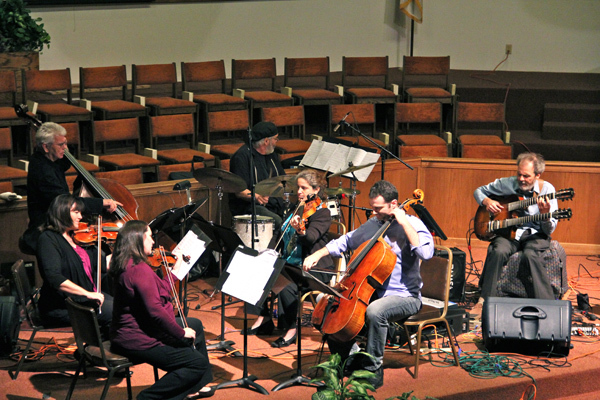 We had a wonderful time playing in Hemet last week with the String Consort. The group really sounded great and it was nice meeting some new friends. The String Consort hypnotizing in Hemet! Tonight I’m playing with our trio at The Calypso in Leucadia. Come on out and hear Duncan and Gunnar navigate beautifully through the ebbs and flow of the SpragueLand songbooklow, fast, major, minor, in, out, light, dark, Hendrix, Bach, ying and yang.